To glitter the life of whole human kind with natural color of diamonds. To inspire individuals and organizations to work more effectively and efficiently, and create greater choice in the domain of work, for the benefit of all concerned. • During this time we have acquired unique expertise and a deep insight in colored diamonds. This is a highly specialized area that necessitates close relationships, very particular connections – and numerous trips to Antwerp and New York, as well as many long journeys to Hong Kong, Singapore and Australia. 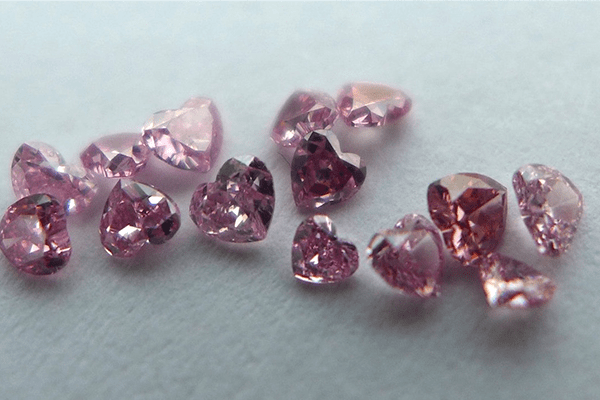 • Today pink diamonds attract more at tension than ever. We are therefore extremely pleased – and in fact very proud – that we can present “Shree International’s Argyle fancy Diamond Collection”. 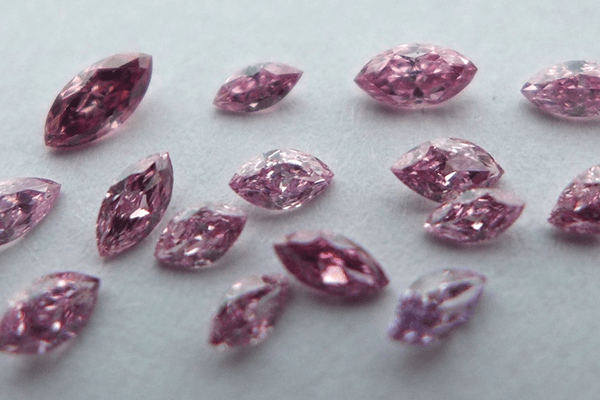 •The main product categories fall in Natural Pink diamonds and Yellow diamonds. • Each of these colors increases in Intensity, from “Faint” to the extremely rare “vivid”. Only the absolute finest and most intensely colored diamonds deserve the description ”Fancy Vivid". 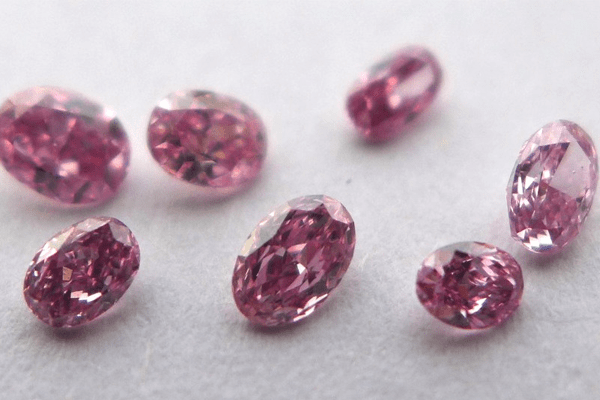 • The Natural pink diamonds in Round ranging from +000 to -12 sieve size in round and in fancy shapes from 0.03 point to 0.15 point in varies shade. 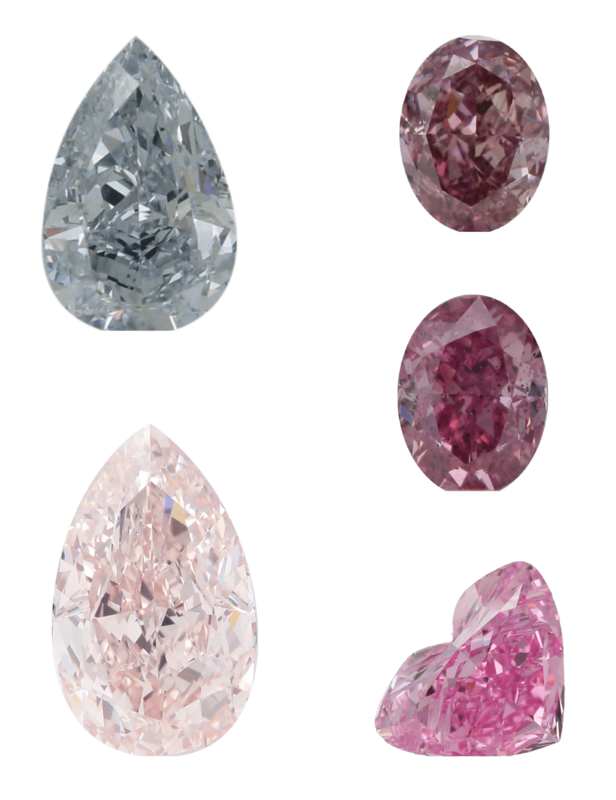 • We offer more than 20 shades in small size pink diamonds with different intensity and clarity basis. 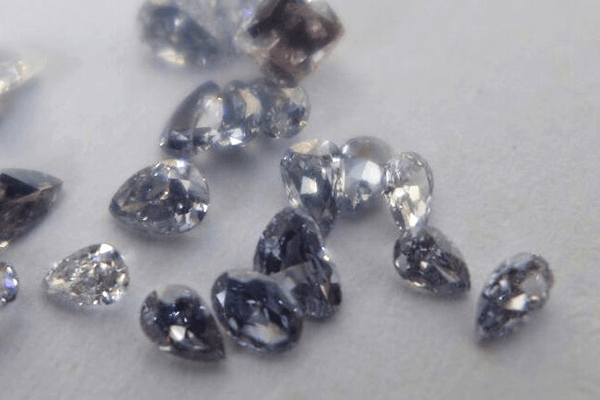 • Also offering Natural Gray to Blue and Violet color diamonds in round and fancy shapes. • We have the Intensity range W-X, Y-Z to Fancy Vivid Yellow diamonds. • The unique rose cut diamonds in small as well as big size up to above 5.00 cts. Our markets around the world where we continue to expand our International presence, strengthen our international partnerships and broaden our focus to one that is increasingly global. We mainly present and focusing on Asia pacific mainly Hong Kong, China, Japan, Taiwan. Also showcasing in USA, Australia, UAE and Antwerp. 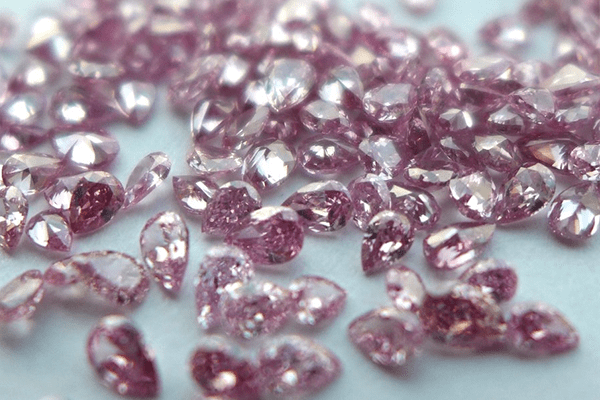 This comprehensive geographic presence enables us to provide our customers with a unique combination of fancy color diamonds and its rarity, world-recognized unique glittering of natural pink and yellow color and deep local knowledge. Opportunities today have become inseparably linked with trades and exhibitions. we setour sights on what that effort can grow into. We’re about pushing the limit of what is currentlypossible – towards completely new areas. Being audacious with our ideas. And then executing these ideas to perfection. We showcasing our glittering products to varies trade fair trough world wide. We presenting ourarticle at JCK ShowLas Vegas, USA. June, 2015. China International Gold,Jewellery & Gem Fair, Shanghai. China International Gold,Jewellery & Gem Fair, Shenzhen. IJT Jewellery Show, Tokyo.January 2016. HKTDC Hong kong International Diamodns, Gems and PearShow- March-2106. And Many other in China (Shenzhen, shanghai), Japan, Taiwan and other.